We are current members of the M.T.A. the BOSCH authorized service agent, and REPCO authorized service centre. We are also actively involved with Auto Tech Training schools, a service BOSCH also provides. Centrally located modern workshop equipped with the latest tools allowing us to service and repair modern vehicles. 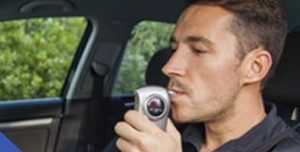 We are also accredited Guardian Interlock breath testing unit installers, suitable for use in cars, machinery and trucks. The WR3 is an alcohol interlock device that is specifically designed for DUI offender ignition interlock programs. It combines evidential breath alcohol measurement technology with innovative anticircumvention features to provide the leading choice in alcohol interlock devices. We provide Auto Electrical services for the installations, Handset Exchanges, calibrations and device removals.